The Araw platform addresses fundamental problems in the e-commerce and cryptocurrency economies. Firstly, retailers online and offline offer restrictive reward systems bundled with their services – they are often of little value to the consumer given their limited nature. Reward systems in commerce as a whole are underutilized due to the lack of technological investment. Coincidentally, many companies find it difficult to provide attractive reward schemes as they risk undervaluing their services. The ‘Unified Reward System’ allows service providers to become an ARAW token distributor, allowing them to control the format of their reward plans. 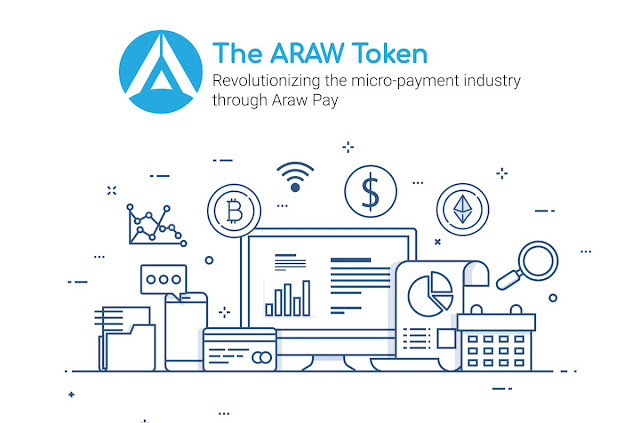 The ARAW token now acts as more than a simple reward point – as it is utilized and redeemable across all of ARAW’s ecosystem participants. Additionally, owners of ARAW are able to convert their tokens into fiat currencies via ARAW mobile wallet & take cashback to their associated bank account. Secondly, the complex barrier to entry into the cryptocurrency market limits the potential value of the cryptomarket as a whole. The technologies surrounding ARAW are strategically built for the platform to support a ‘Unified Reward System’ – ensuring ease of adoption and maximizing consumer outreach. The company intends to create a transparent unified system that will be adopted by a lot of people. 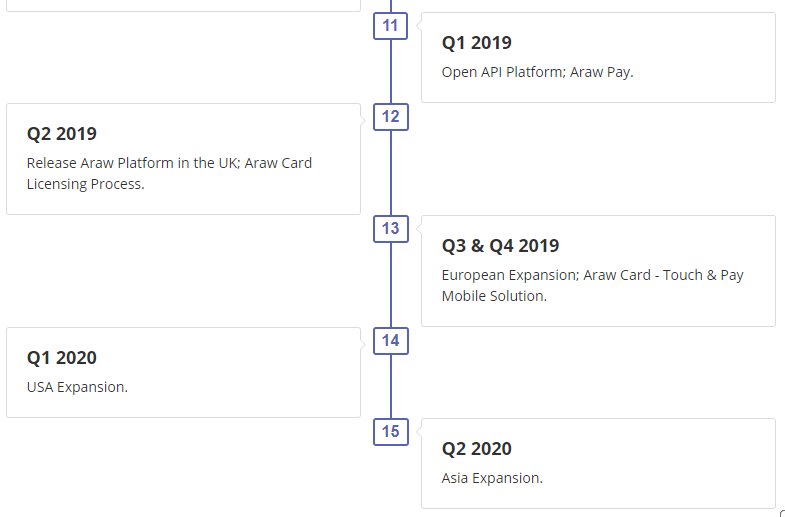 They want to create a connected ecosystem with ARAW Pay and ARAW Touch and Pay Card. Other plans include creating a plug and play widget, cashback options so the clients are protected (which is something that is not very common on the blockchain). Basically, ARAW will be an end-to-end solution because it will give everything that you really need to buy products online will full safety or to offer these products and self-manage your own business. ARAW will be a transparent ecosystem that will unite customers and stores. 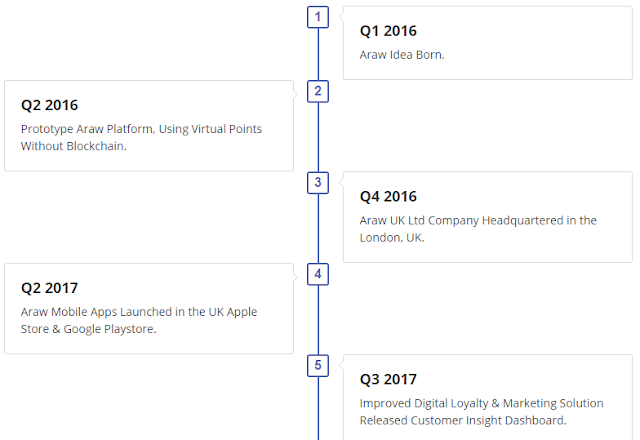 The objective of the company is to launch the platform until 2019 and continue the operations during the following year, focusing on the American and Asian market while initially it will be focused on the European one. How Does The Company Works? Introducing the ARAW Token, the heart of the decentralized payment ecosystem powered by the Ethereum Blockchain, the company is aiming to increase blockchain adoption for regular people across the world. ARAW Token is the first company in the world whose mission is to combine the benefits of the E-Commerce and Payment industries; provide end-to-end solutions for E-Commerce Marketplace, Touch & Pay Cryptocurrency Card, Online Cryptocurrency Payment, and Unified Reward System on the Ethereum Blockchain powered by the ARAW token. The goal of the ARAW token is to be a part of everyone’s day-to-day online & in-store shopping. 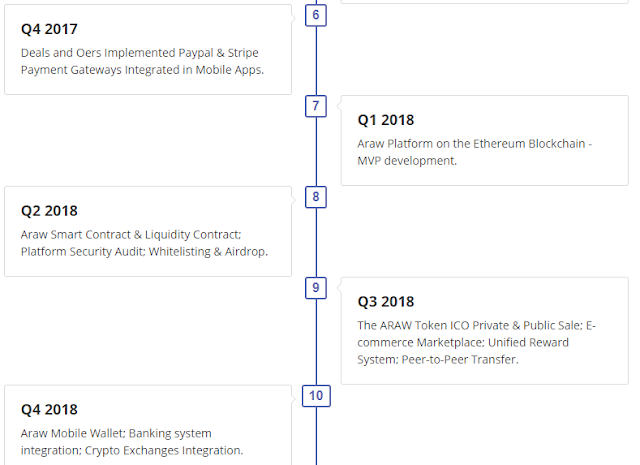 The main goal of the ARAW token is to build the Decentralised Payment Ecosystem for E-Commerce to increase the Blockchain adoption for regular people across the world. The ARAW token ecosystem offers unified reward system in which any service-providing entities can partake in. This allows virtually any company to further incentive consumption of their service as they provide real value via token distribution and expand their previously limited market of loyalty-reward consumers to the next level.